The notion of a pattern within a binary picture (polyomino) has been introduced and studied in , and resembles the notion of pattern containment within permutations. 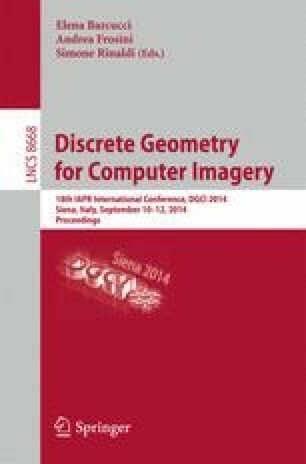 The main goal of this paper is to extend the studies of  by adopting a more geometrical approach: we use the notion of pattern avoidance in order to recognize or describe families of polyominoes defined by means of geometrical constraints or combinatorial properties. Moreover, we extend the notion of pattern in a polyomino, by introducing generalized polyomino patterns, so that to be able to describe more families of polyominoes known in the literature.